Background and Objective: Constipation is more prevalent in obese population. Chronic constipation affects cognitive functions and mood through different mode of actions. In this clinical trial, the effect of chronic constipation and oxidative stress was studied on cognitive functions and mood in obese women and the impact of diet modification and fennel (Foeniculum vulgare) supplementation on them. Materials and Methods: One hundred and thirty women participated as volunteers, 55 obese women (group A) followed a low caloric balanced diet accompanied by supplement made from whole wheat flour mixed with 10% fennel powder, 45 obese women (group B) followed the same low caloric balanced diet only and 30 normal weight women (group C, control group) followed their own regular diet without any alterations. Two tailed student t-test was used to compare the two groups. Correlation between the different parameters was tested by Pearson test. p<0.05 were considered statistically significant. Results: Obese patients have higher incidence of constipation, which in turn affects mood, cognitive function and antioxidant activity negatively. Conclusion: Using balanced low caloric diet rich in fresh fruits and vegetables with fennel (Foeniculum vulgare) supplementation treated constipation and improved the antioxidant status which was significantly correlated with improved cognitive function and mood. Yusr Mohamed Ibrahim Kazem, Maha Abdel-Moaty, Salwa Mostafa El Shebini, Nihad Hassan Ahmed, Suzanne Fouad and Salwa Tawfic Tapozada, 2017. Constipation, Oxidative Stress in Obese Patients and their Impact on Cognitive Functions and Mood, the Role of Diet Modification and Foeniculum vulgare Supplementation. Journal of Biological Sciences, 17: 312-319. Several studies reported that obesity and constipation are directly correlated. Both can be a result or a cause of each other. In a recent study the frequency of constipation was assessed in 966 obese patients and was found to be significantly higher compared to people with normal weights1. Increased prevalence of constipation in obese children was reported in a study involving children. Constipation was reported in 21% of obese children comparing to 8.8% in lean children2. Constipation was a consequence of delayed total colonic transit time in obese children2. Diet is a common player for both: Constipation and obesity. A study found less availability of serotonin in the colon of high fat diet-induced obese rats and this was due to lower number of enterochromic cells and can explain high-fat diet induced constipation3. High fat diet (HFD) is accused to be a main cause for constipation, obesity and changes in the brain-gut axis4,5. In vitro studies suggested apoptosis of rodent enteric neurons in the presence of saturated fatty acids. In obesity, enhanced upper intestinal motility and a delayed distal small intestine and colonic motility is recorded, this accelerated gastric emptying leads to increased feeling of hunger with increased food consumption while the delayed colonic motility lead to constipation, this could be both a cause and consequence of obesity4,5. High saturated fat content in a diet affect pro- and antioxidant balances in metabolic tissues. The HFD increase systemic oxidative stress insults and imbalance between oxidants derivatives production and antioxidants defenses6. The incidence of mood changes, mainly depression and anxiety is higher in chronic constipation and changes in cognitive functions were also reported among chronic constipated obese females7. Several studies reported that co-morbidity of mood and anxiety disorders in functional gastrointestinal disorder (FGD) patients is higher than in the general population with rates up to 50% or even more, depending on the population studied8,9. Obesity is characterized by chronic low grade inflammation with permanently increased oxidative stress (OS). Over-expression of oxidative stress damages cellular structures together with under-production of anti-oxidant mechanisms, leading to the development of obesity-related complications. Moreover, increased protein oxidation and impaired nuclear factor-like 2 (Nrf2) signaling is associated with cognitive impairment10. Oxidative stress has been observed in patients with constipation, as well as in those with colorectal cancer, cardiovascular disease and other chronic illnesses associated with constipation11. Fennel seeds (Foeniculum vulgare) has been used to treat constipation and improve antioxidant status since the old Egyptian civilization12. Fennel is a rich source of dietary fiber, numerous flavonoid, anti-oxidants like kaempferol and quercetin and volatile essential oil compounds in addition to minerals including copper, potassium, manganese, iron, calcium, selenium, zinc and magnesium. The human body uses many of these minerals as a cofactor for the important antioxidant enzyme and superoxide dismutase12,13. From the previous studies as mentioned above can see strong interrelations between dietary pattern and obesity on one hand and changes of gastrointestinal motility and its consequences on the brain cognition and mood on the other hand. The aim of this study was to study the effect of chronic constipation and oxidative stress on cognitive functions and mood in obese women and the impact of diet modification and fennel (Foeniculum vulgare) supplementation on them. They study was conducted through a project funded by National Research Centre (NRC) Egypt, 2013-2016: Entitled" Detecting Modifiable Risk factors for Cognitive function impairment and Dementia among Obese middle age Egyptians and studying dietary long term measures for prevention". Supplemental cookies: Group (A) followed balanced low caloric diet in addition to supplemental cookies rich in fennel, four cookies to be taken daily each cookie is 20 g.
Composition: Wheat grains (Giza 168) was purchased from Wheat Research Department, Field Research Institute, Agric. Res. Centre, Giza, Egypt. Fennel seeds were obtained from local shop, Dokki, Egypt and milled to form powder. Skimmed milk, flax seed oil and baking powder were purchased from the local market, Dokki, Egypt. Analytical methods: The supplement was prepared by mixing the whole meal wheat flour (100% extraction) with fennel seeds powder (Foeniculum vulgare) at the levels of 10% with other ingredients according to Table 1. About 14.7 mL of dextrose solution (5.93%) and the suitable amount of water were added to be formed as cookies each weighing 20 g. Those supplement was baked in a special oven at 200°C for about 15 min. Subjects: From 200 obese women visiting the nutrition department at the NRC attending a nutritional program for weight loss, 100 obese women were chosen, also 30 normal weight women were included in this study after applying exclusion criteria for joining this study. The participants who were taking any form of antioxidant/multivitamin supplementation or suffering from chronic illness, allergic reactions, ulceration, co-infection and history of smoking, infectious diseases or other major illnesses were excluded from the study. The study lasted for 8 weeks. All volunteers were from the same social class and matched for health status, environmental, educational and social factors. Written informed consent was obtained from all the subjects after they had been given a full explanation of the study. The research was given ethical approval by National Research Centre Ethics Committee. The participants were divided into 3 groups, group (A): 55 women with mean age of 49.82±1.31 years and mean body mass index (BMI) of 35.78±0.81 kg m2, group (B): 45 women with mean age of 48.21±1.58 years and mean BMI of 37.52±0.78 kg m2 and group (C) Control group of 30 normal weight women with BMI 25.00±0.6 kg m2 and age 47.30±1.43 years were included. Group (A) followed a low caloric balanced diet rich in fresh vegetables and fruits (1000-1200 K calories/day), accompanied by the supplemental cookies, [four cookies were consumed/day: 2 with breakfast (40 g) and 2 with dinner (40 g)] instead of baladi bread. Group (B) followed the same low caloric balanced diet using baladi bread that gave the same amount of calories as the supplements. The control followed their own regular diet without any alterations. Hemoglobin concentration was measured in fresh samples using cyanomethaemoglobin method16. Blood was allowed to clot, centrifuged and sera were separated. Fasting blood glucose (FBG) was determined on fresh sera using glucose oxidase method17. The remaining sera were stored at -70°C until used for determination of the other biochemical parameters. Fasting C-peptide level was measured by ELISA method18 (Monobind Inc., Lake forest, CA 92630, USA). According to Li et al.19, insulin resistance was expressed by modified homeostasis model assessment-insulin resistance (M. HOMA-IR), where M. HOMA-IR = 1.5+FBG (mg dL1)×fasting C-peptide (ng mL1)/2800, in which insulin was replaced by C-peptide so as to be applied on diabetic patients using exogenous insulin. • General glutathione (General GSH) concentrations in the serum, were done using General Glutathione ELISA kit supplied by Wuhan EIAab® Science Co. Ltd., East Lake Hi-Tech Development Zone, Wuhan 430079, CHINA. Catalog No: E9182Ge20. • Superoxide dismutase (SOD) level in the serum using human superoxide dismutase 1 ELISA kit supplied by Bio Vendor Laboratornimedicina, a, s. Karasek 1767/1, 621 00 Brno, Czech Republic, Cat. No. : RLF-EK0101R 21. Statistical analysis: All values were expressed as Mean±SE, 2 tailed student t-test was used to compare the 2 groups. Correlation between the different parameters was tested by Pearson test p<0.05 were considered statistically significant. SPSS window software version 17.0 (SPSS Inc., Chicago, IL, USA, 2008) was used. Table 2 represent a comparison between obese patients and non-obese control group regarding the variables under study. All values were expressed as Mean±SE, two tailed student t-test was used to compare the two groups. P-value was significant in all variables under study. Cognitive functions measured by (MMSE test), was less among obese patients, constipation was higher among obese group, while antioxidant activity measured by the (GSH and SOD levels) was higher among normal control, all showed highly significant difference. A significant better mood was measured among non-obese controls. Table 3 comparison between the two groups of obese patients group (A) those who followed balanced low caloric diet and received fennel supplement and group (B) those who followed balanced low caloric diet without supplementation. All values were expressed as mean±SE, two tailed student t-test was used to compare the two groups. Group A showed better improvement in all variables, detected, either by higher significance p-value or as greater numerical changes. The improvement in cognitive function (MMSE) was larger in group A compared to the improvement in group B. As for mood improvement was higher in group A, the difference was numerical where group A changed from mean value 2.6±0.3 to 3.34±0.2: change = 0.76, while change in group B was from 2.5±0.2 to 2.91±0.1: change = 0.41. As for constipation both groups showed highly significant improvement but a numerical difference can be detected: In group A change was from 4.2 to 2.3: change = 1.9, while group B mean value changed from 4.3 to 2.8: change = 1.5. As for SOD: Superoxide dismutase, a significant improvement was detected in group A, but no significant change in group B. As for General GSH: General glutathione both showed significant improvement. Table 4 correlation between different parameters was tested by Pearson test. Inverse correlation was detected between constipation on one hand and cognitive functions and mood on the other hand and this was highly significant. Constipation and antioxidant activity (both SOD and GSH) were also significantly inversely correlated. Direct significant correlation was seen between cognitive functions and mood. It is important to mention that patients used to consume a very high fat content diet with caloric intake over 3000 calories/day. As seen in Table 2 obese patients had significantly higher constipation rate, mean value of 4.1±0.092 versus mean value of 1.50±0.08, p-value was at 0.001 level. This was associated with bad mood, lower cognitive functions, more insulin resistance and less antioxidant activity as seen significant (p<0.05) values in the obese group. Previous studies reported that constipation does not necessarily cause people to gain weight, but there are some factors which play a key role in constipation and may also contribute significantly to weight gain. This included high consumption of saturated fats, starches and sugars and less fresh fruits and vegetables and this leads to colonic lethargy, constipation and finally obesity. The low activity of the obese also induces constipation. The longer food remains in the colon the more nutriment and fluid are absorbed, leading to weight gain. There is no enzyme in the human subject which digests cellulose, but it has been shown that bacteria in the colon have the ability to convert cellulose into sugar in case of constipation leading to more energy production and finally obesity. Purgatives tend to reduce weight through hurrying the food through the small and large intestines before complete absorption of the nutritive material takes place1,22,23. It is also seen that obese patients have lower levels of superoxide dismutase (SOD) and General Glutathione (General GSH), indicating lower antioxidant activity20. On the other hand, FBG, C-peptide and M.HOMA-IR levels were significantly (p<0.05) higher in obese patients compared to normal weight women. The relation between obesity and impaired cognitive functions were reported in several previous studies. In human clinical studies, obesity has been shown to increase the risk of the development of mild cognitive impairment, in the form of short-term memory and executive function deficits, as well as dementia and Alzheimers disease. Obesity is associated with not only an increased risk of development of mild cognitive impairment, but additionally, late-life dementia and Alzheimers disease24. Comparison between the 2 groups of obese patients, group (A) those who followed balanced low caloric diet and received fennel supplement and group (B) those who followed balanced low caloric diet without supplementation was shown in Table 3. After the intervention a significant improvement in bowel habits is recorded as regular bowel habits and significant decrease in the number of patients suffering from constipation (p<0.001). This improvement in constipation was greater in group A which had the fennel supplement . Mean value changed from 4.2±0.22 to 2.3±0.01 while group B mean constipation values changed from 4.3±0.1 to 2.8±0.023. The improvement in all variables is greater in group A versus group B showing the importance of fennel supplementation, explained by the fennel components and effects. The dietary fiber content of fennel improves satiety, decreases caloric intake and promotes weight loss. Dietary fiber absorbs good amount of water thereby expanding the stomach and inducing feeling satisfaction. The fennel supplement was used to help reduce constipation and also for its antioxidant content. Fennel seeds contain numerous flavonoid anti-oxidants like kaempferol and quercetin12,13. Microbiota is suggested to be the key answer to the changes seen in our patients, triggered by the diet modification and fennel supplementation. Diet affect microbiota which affects gut permeability and motility, toxic material and cytokines leaks to the blood and reaches the brain through the gut-brain axis, this in turn affects cognitive function and mood leading to anxiety and depression. This study suggested that treating constipation through diet and fennel, may improve mood and cognitive functions and oxidative activity, this was supported by other studies in the field25,26. Several studies related cognitive functions to constipation, a study on constipated population reported that approximately 77.54% of constipated samples experienced cognitive impairment27. Other studies confirmed our results, they showed that constipated patients had higher psychological distress than healthy subjects, among all psychological disorders depression, anxiety and pain disorders were the most prevalent28,29. Table 4 correlation between different parameters was tested by Pearson test. Inverse correlation was detected between constipation on one hand and cognitive functions and mood on the other hand and this was highly significant. This result is very important since it confirms the importance of constipation on both mood and cognitive functions. Most probably mediated by microbiota and toxins leak to the blood. Constipation and antioxidant activity (both SOD and GSH) were also significantly (p<0.05) inversely correlated. This means that more constipation decrease the antioxidant activity of the body by consuming more antioxidants to overcome the increased leak of toxins into the blood as a consequence of constipation. Direct significant correlation was seen between cognitive functions and mood. Inverse correlation was detected between cognitive functions and M.HOMA-IR and BMI. When the degree of constipation increase, the cognitive function and mood decline. P value for correlation was at 0.001 level. The antioxidant status was also inversely correlated to constipation, when constipation increase the antioxidant level decrease. In chronic constipation more toxins are absorbed to the circulation reaching the brain and affecting mood and cognitive function, also consuming the antioxidants (SOD and GSH ) leading to their decline. Confirming our results in Table 4, a previous study reported that, anxiety and depression have a prevalence rate of 34.6 and 23.5% in patients with chronic constipation. These results can be compared with the prevalence of common psychiatric disorders in the general population, showed that mood and anxiety disorders have a prevalence rate of 4.35 and 8.31%, respectively in general population. Therefore, it is clear that constipated patients have a higher rate of both mood and cognitive disorders compared to general population30-32. Several epidemiological studies in elderly subjects have found links between diet and cognitive function33. Similar diet-related changes in cognitive flexibility have been found in mice fed either a high sucrose or high fat diet, possibly secondary to a shift in gut microbiota composition. In women, higher "vegetables-fruits" pattern score was associated with reduced risk of cognitive impairment. The pathogenesis of age-related diseases, including cognitive impairment and Alzheimer disease (AD), are oxidative stress, inflammation and vascular risk factors, which are mechanisms that can be treated with nutritional intervention and good dietary patterns such as the Mediterranean diet abundant in antioxidants and mono-unsaturated fatty acids (MUFAs)34-37. The antioxidant enzymes produced within our bodies are complex proteins that often use minerals such as selenium or zinc in their intricate structures. These antioxidant enzymes serve as the bodys most potent defense against free radicals and controlling inflammatory reactions. They include glutathione peroxidase, catalase and superoxide dismutase (SOD) which is the most important internally generated antioxidant. Studies have shown that SOD can play a critical role in reducing internal inflammation which can reduce chronic illness resulting from chronic low grade inflammation including obesity and dementia38,39. The antioxidant value, measured by Glutathione and SOD serum level has increased after intervention and treating constipation and this was accompanied by better mood and cognitive functions. This may raise the issue of using diet and nutritional supplements to enhance the antioxidant activity in the body which in turn improve cognitive functions and mood. It is concluded that obese patients have higher incidence of constipation, which in turn increase the oxidative stress in the body that is reflected on mood and cognitive function Using balanced low caloric diet rich in fresh fruits and vegetables with fennel supplementation cure constipation and improve the antioxidant activity and this was correlated to improved cognitive function and enhanced mood. This study spot light on the hazards of chronic constipation and its impact on oxidative stress in the body, both were inversely correlated to cognitive functions and contributed to bad mood. Balanced diet rich in fresh vegetables and fruits with fennel supplementation cured constipation and improved the antioxidant status of the body. The study is a good contribution to improve and maintain good cognitive functions and mood among middle age obese women by treating chronic constipation with diet and fennel supplementation. Ashley, J.P. and B.M. Frier, 1981. Circulating C-peptide: Measurement and clinical application. Ann. Clin. Biochem., 18: 125-130. Baan-Slootweg, O.H., O. Liem, N. Bekkali, W.M.C. van Aalderen, T.H.P. Rijcken, C. di Lorenzo and M.A. Benninga, 2011. Constipation and colonic transit times in children with morbid obesity. J. Pediatr. Gastroenterol. Nutr., 52: 442-445. Backhed, F., 2009. Changes in intestinal microflora in obesity: Cause or consequence? J. Pediatric Gastroenterol. Nutr., 48: S56-S57. Barham, D. and P. Trinder, 1972. An improved colour reagent for the determination of blood glucose by the oxidase system. Analyst, 97: 142-145. Borre, Y.E., R.D. Moloney, G. Clarke, T.G. Dinan and J.F. Cryan, 2014. The impact of microbiota on brain and behavior: Mechanisms & therapeutic potential. Adv. Exp. Med. Biol., 817: 373-403. Boyd, K.A., D.G. O'donovan, S. Doran, J. Wishart, I.M. Chapman, M. Horowitz and C. Feinle, 2003. High-fat diet effects on gut motility, hormone and appetite responses to duodenal lipid in healthy men. Am. J. Physiol.-Gastrointestinal Liver Physiol., 284: G188-G196. Choi, E.M. and J.K. Hwang, 2004. Antiinflammatory, analgesic and antioxidant activities of the fruit of Foeniculum vulgare. Fitoterapia, 75: 557-565. Cryan, J.F. and T.G. Dinan, 2012. Mind-altering microorganisms: The impact of the gut microbiota on brain and behaviour. Nat. Rev. Neurosci., 13: 701-712. Dantzer, R., J.C. O’Connor, G.G. Freund, R.W. Johnson and K.W. Kelley, 2008. From inflammation to sickness and depression: When the immune system subjugates the brain. Nat. Rev. Neurosci., 9: 46-56. Folstein, M.F., S.E. Folstein and P.R. Mc Hugh, 1975. Mini-mental state. A practical method for grading the cognitive state of patients for the clinician. J. Psychiatr. Res., 12: 189-198. Gareau, M.G., 2014. Microbiota-gut-brain axis and cognitive function. Adv. Exp. Med. Biol., 817: 357-371. Garga, C., S.A. Khan, S.H. Ansari, A. Suman and M. Garg, 2009. Chemical composition, therapeutic potential and perspectives of Foeniculum vulgare. Pharmacogn. Rev., 3: 346-352. Gu, Y. and N. Scarmeas, 2011. Dietary patterns in Alzheimer's disease and cognitive aging. Curr. Alzheimer Res., 8: 510-519. Hiernaux, J. and J.M. Tanner, 1969. Growth and Physical Studies. In: Human Biology: A Guide to Field Methods, Weiner, J.S. and S.A. Lourie (Eds.). International Biological Programme by Blackwell Scientific, London, UK. Hosseinzadeh, S.T., S. Poorsaadati, B. Radkani and M. Forootan, 2011. Psychological disorders in patients with chronic constipation. Gastroenterol. Hepatol. Bed Bench, 4: 159-163. Kazem, Y.M., N.H. El-Arabi, M.I. Moaty and S.M. El Shebini, 2012. The effect of balanced low-caloric diet on cognitive functions: An interventional study on a group of Egyptian middle-aged obese females. Int. J. Acad. Res., 4: 125-129. Kesh, S.B., D. Sarkar and K. Manna, 2016. High-fat diet-induced oxidative stress and its impact on metabolic syndrome: A review. Asian J. Pharmaceut. Clin. Res., 9: 47-52. Leite, M.L.C., A. Nicolosi, S. Cristina, W.A. Hauser and G. Nappi, 2001. Nutrition and cognitive deficit in the elderly: A population study. Eur. J. Clin. Nutr., 55: 1053-1058. Leung, K. and S. Thuret, 2015. Gut microbiota: A modulator of brain plasticity and cognitive function in ageing. Healthcare, 3: 898-916. 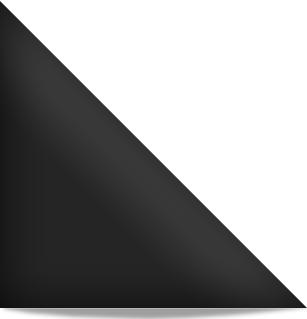 Li, X., Z.G. Zhou, H.Y. Qi, X.Y. Chen and G. Huang, 2004. [Replacement of insulin by fasting C-peptide in modified homeostasis model assessment to evaluate insulin resistance and islet beta cell function]. J. Cent. South Univ. Med. Sci., 29: 419-423, (In Chinese). Lydiard, R.B., 2001. Irritable bowel syndrome, anxiety and depression: What are the links? J. Clin. Psychiatry, 62: 38-45. Magnusson, K.R., L. Hauck, B.M. Jeffrey, V. Elias and A. Humphrey et al., 2015. Relationships between diet-related changes in the gut microbiome and cognitive flexibility. Neuroscience, 300: 128-140. Marseglia, L., S. Manti, G. D'Angelo, A. Nicotera and E. Parisi et al., 2015. Oxidative stress in obesity: A critical component in human diseases. Int. J. Mol. Sci., 16: 378-400. Mason, H.J., E. Serrano-Ikkos and M.A. Kamm, 2000. Psychological morbidity in women with idiopathic constipation. Am. J. Gastroentrol., 95: 2852-2857. Mytilineou, C., B.C. Kramer and J.A. Yabut, 2002. Glutathione depletion and oxidative stress. Parkinsonism Related Disord., 8: 385-387. Pecora, P., C. Suraci, M. Antonelli, S. de Maria and W. Marrocco, 1981. Constipation and obesity: A statistical analysis. Boll. Soc. Ital. Biol. Sper., 57: 2384-2388. Petersen, S.V., T.D. Oury, Z. Valnickova, I.B. Thogersen, P. Hojrup, J.D. Crapo and J.J. Enghild, 2003. The dual nature of human extracellular superoxide dismutase: One sequence and two structures. Proc. Natl. Acad. Sci. USA., 100: 13875-13880. Petra, A.I., S. Panagiotidou, E. Hatziagelaki, J.M. Stewart, P. Conti and T.C. Theoharides, 2015. Gut-microbiota-brain axis and its effect on neuropsychiatric disorders with suspected immune dysregulation. Clin. Therapeut., 37: 984-995. Rao, S.S.C., R. Kavelock, J. Beaty, K. Ackerson and P. Stumbo, 2000. Effects of fat and carbohydrate meals on colonic motor response. Gut, 46: 205-211. Scarmeas, N., Y. Stern, M.X. Tang, R. Mayeux and J.A. Luchsinger, 2006. Mediterranean diet and risk for Alzheimer's disease. Ann. Neurol., 59: 912-921. Van Dijk, M., M.A. Benninga, M.A. Grootenhuis, A.M. Onland-van Nieuwenhuizen and B.F. Last, 2007. Chronic childhood constipation: A review of the literature and the introduction of a protocolized behavioral intervention program. Patient Educ. Counseling, 67: 63-77. Van Kampen, E.J. and W.G. Zijlstra, 1961. Standardization of hemoglobinometry II. The hemiglobincyanide method. Clin. Chim. Acta, 6: 538-544. Van Oudenhove, L., K. Demyttenaere, J. Tack and Q. Aziz, 2004. Central nervous system involvement in functional gastrointestinal disorders. Best Pract. Res. Clin. Gastroenterol., 18: 663-680. Van de Rest, O., A.A. Berendsen, A. Haveman-Nies and L.C. de Groot, 2015. Dietary patterns, cognitive decline and dementia: A systematic review. Adv. Nutr., 6: 154-168. Vermorken, A.J.M., E. Andres and Y. Cui, 2016. Bowel movement frequency, oxidative stress and disease prevention. Mol. Clin. Oncol., 5: 339-342. Wengreen, H.J., C. Neilson, R. Munger and C. Corcoran, 2009. Diet quality is associated with better cognitive test performance among aging men and women. J. Nutr., 139: 1944-1949.